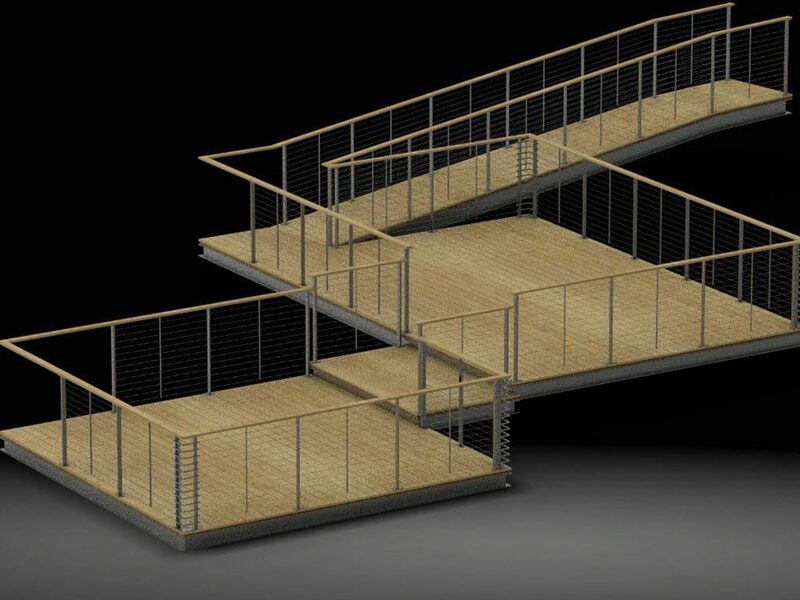 Material and Finish: Hot dip galvanized steel posts with IPE (Brazilian walnut) wood top rail. For their unique floating deck with a catwalk and panoramic views, our client wanted a cable railing system with a modern and industrial look. 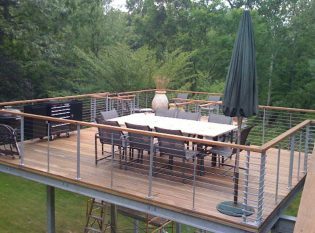 To match the deck’s galvanized steel frame, we used galvanized steel for our Tokyo Style posts and the IPE wood top rail matches the decking. The deck is perfect for outdoor dining and entertaining during the summer months.